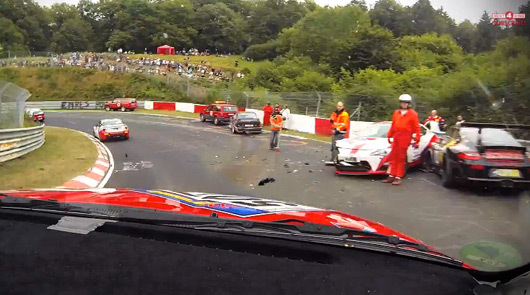 Dale Lomas, wearing his Rent4Ring hat, brought our attention to these highlights from the VLN race last month. And the Nürburgring is alive this weekend with the seventh VLN race out of 10 this year. To see what you’re missing out on take the jump and strap yourself in for a hairy ride! For a deeper insight into VLN racing, check out the blog from Dale’s teammate Johan Sandberg over at Bridge to Gantry.